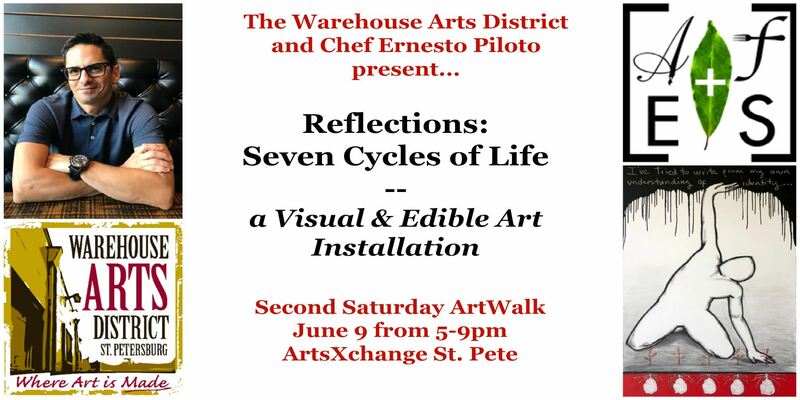 Join us for a solo exhibit that combines the visual and the edible arts with St. Pete based, Cuban born artists, Ernesto Piloto-Marquez. Ernesto Piloto‘s newest body of work challenges viewers to question the boundaries of traditional arts and culinary arts, as well as consider the intersection of the two. He transforms ingredients into artwork that stimulate not only the intellect but the senses. Themes such as emotions, perception, philosophy, and communication play key roles in his work. Artist talk at 7pm with announcement of upcoming Art-Food Performance Dinners in June! 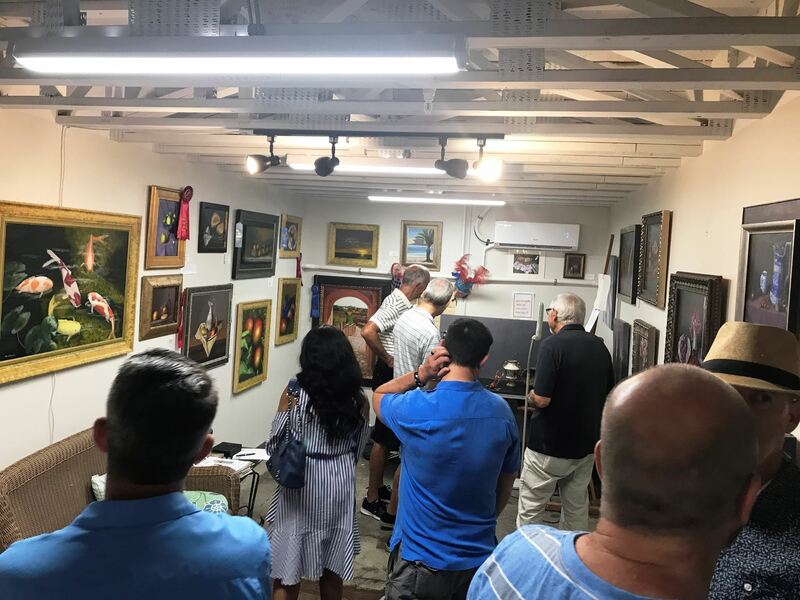 Exhibit runs through month of June 2018 on Friday and Saturday's from 11am-5pm or by appointment. Call 727-826-7211.